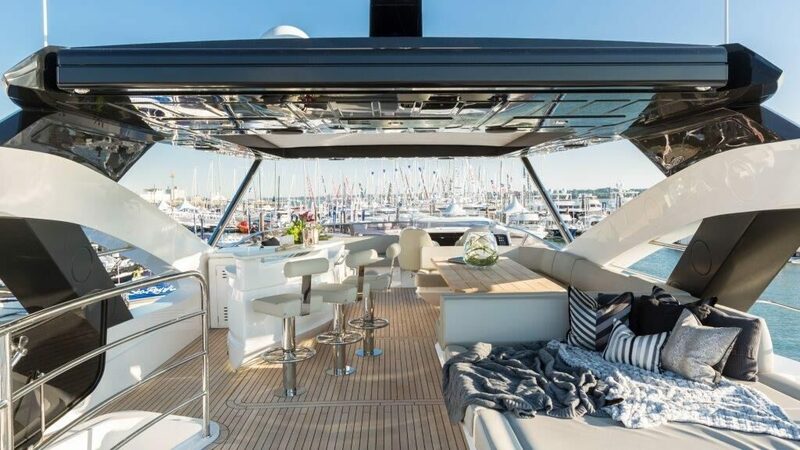 Before 2015, dressing Sunseeker‘s yachts for display fell to their factory team, skilful at yacht-building, not matching cushions and china, the team found the job onerous. Their answer was to cobble together ‘wicker baskets of stuff’ that would be left to gather dust in a lock up between shows, says Alex Harrison, Group PR and Marketing Director. The boats, Alex admits, didn’t always look their best. 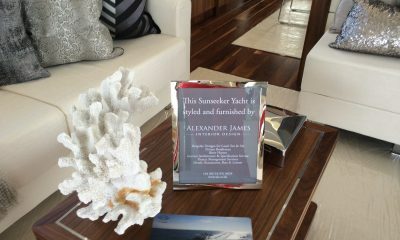 Enter one of The Luxury Network’s most successful collaborations to date: Sunseeker’s partnership with Alexander James Interiors (AJI). 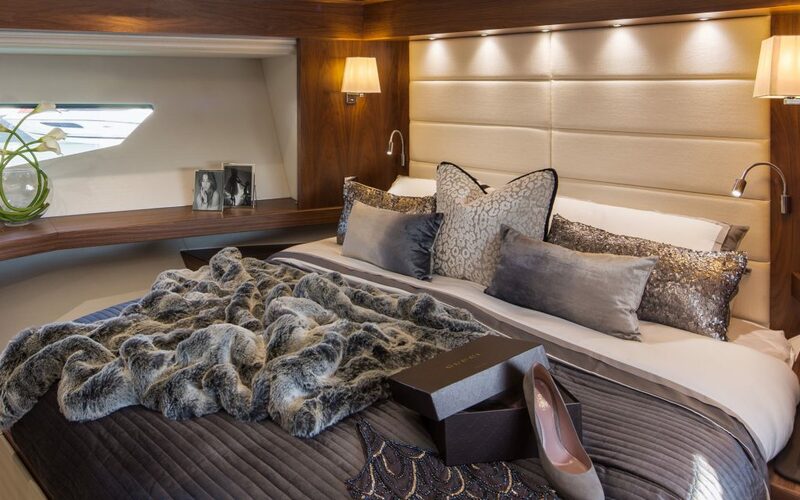 Having originally signed up to TLN with the goal of cosying up to Rolls Royce and inviting them to showcase their cars at house launches, Julie Clifford, AJI’s Client Liaison Manager says she had never even considered a collaboration with Sunseeker. 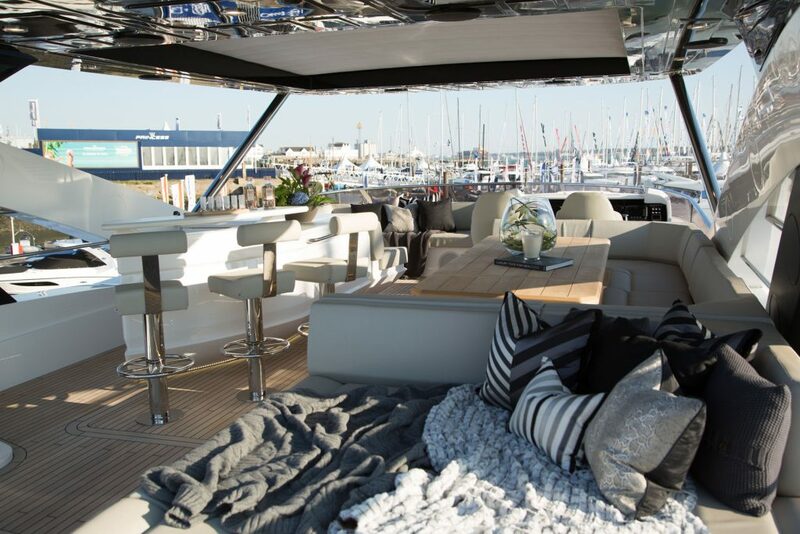 This changed at TLN’s quarterly seminar when they were introduced by TLN’s Managing Director, Helena, and agreed to dip their toe in the partnership water by dressing Sunseeker’s VIP lounge at the London Boat Show. 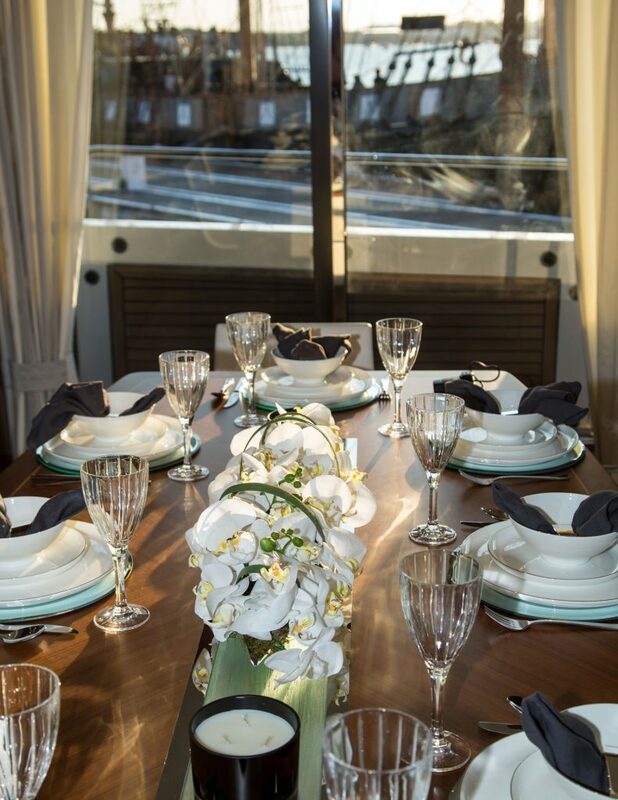 After seeing the dressing of the yachts at the show, they were convinced their skills in dressing houses would transform the boats and expose AJI to thousands of potential new clients in the process. 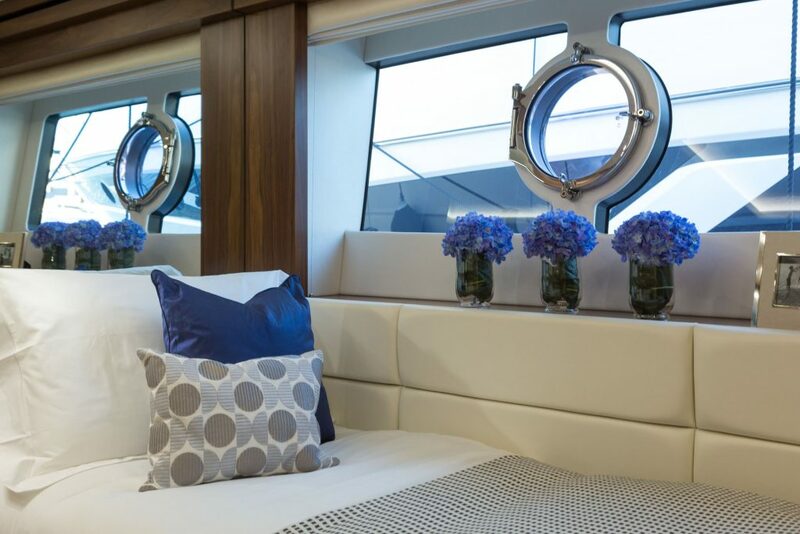 Alex says AJI’s attention to detail is incredible: every boat has a bespoke colour scheme. 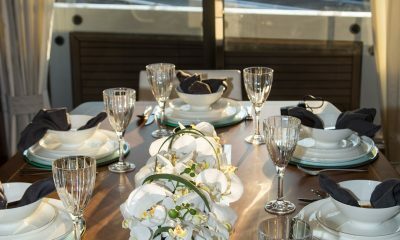 She was stunned when she saw them picking up on a tiny piece of navy blue in the ceiling and carrying it through to everything from coffee table books to cushions, semi precious stones and glassware. 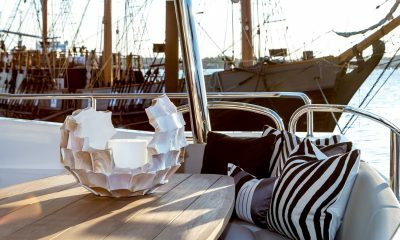 “All inspired from one detail.” Alex says the designers also take into account the light, the target demographic and whether the boat will be sailing to the Mediterranean or Nordic Sea. And they have nailed it. 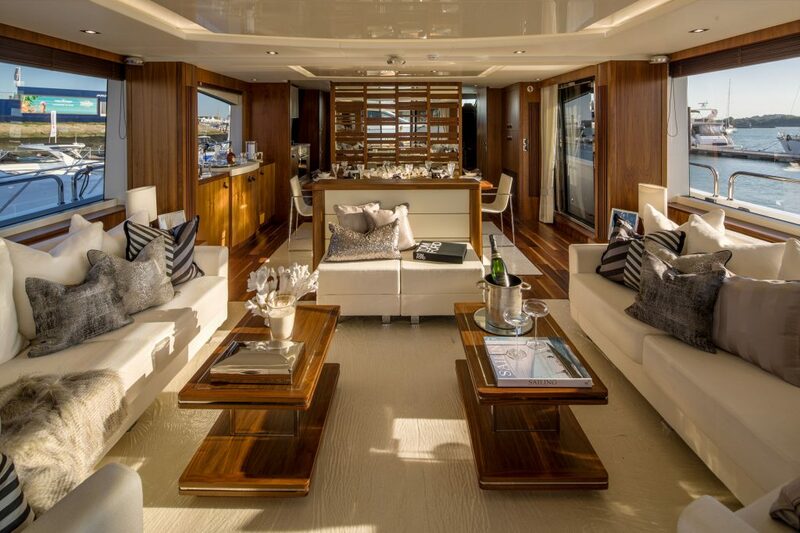 When a client saw the very first boat AJI dressed at the London Boat Show in 2015, they wanted it, but only if they could buy all of AJI’s interiors. 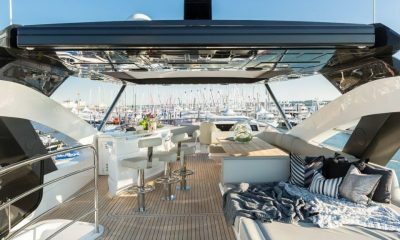 With boats selling for between £3m and £5m the collaboration potential was proven and this year AJI has dressed most of Sunseeker’s yachts at boat shows around the world. Asked if the partnership could have happened without Helena and The Luxury Network, Julie and Alex say there’s a chance it could have but are adamant it wouldn’t have. For one thing, they say, without an introduction it’s almost impossible to get to the right people. Alex describes Helena as ‘charmingly persistent’, which is extraordinarily helpful when everyone is so busy, understanding those pressures and working around them. Not only does she have a gift for visualising when luxury brands could be even better together than they already are, she identifies people who will work well together and she won’t rest until you’ve met. Alex jokes that in others this could be irritating, but Helena is the silent hero, the glue that makes the network so successful for its members. Since she joined TLN 3 years ago, Julie has become something of an expert in collaboration; estimating TLN accounts for 50-60% of her marketing activity, for a fraction of her marketing budget. So what’s next for this collaboration? 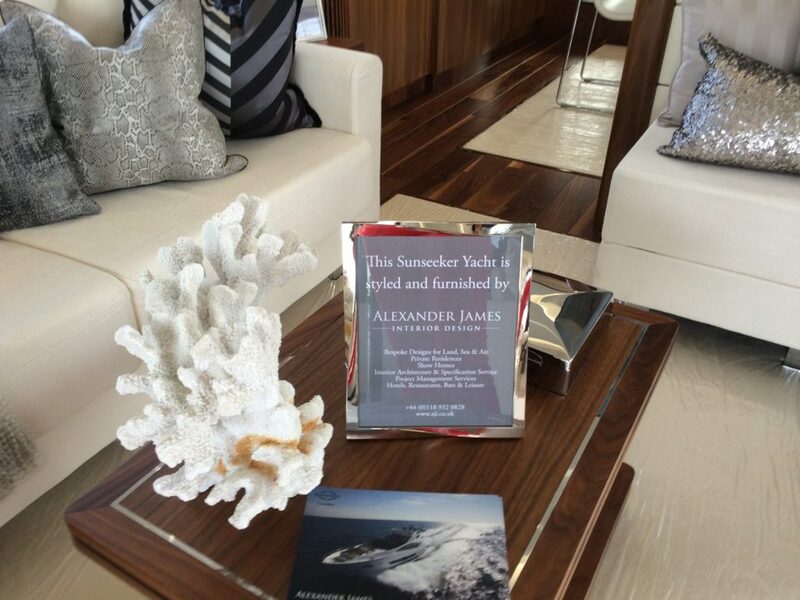 AJI has a double page upcoming feature in Sunseeker’s magazine, distributed to Sunseeker’s global database of high net worth prospects and clients, and both have been delighted to showcase the partnership to their global audience across their social media channels. 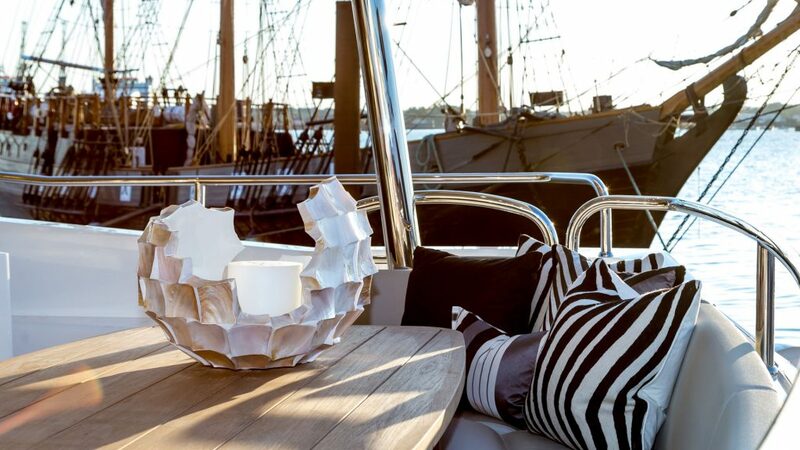 There is also exciting talk of of AJI being Sunseeker’s official interiors consultant, there at the factory to be available to clients at point of purchase.